With our Maintenance Service Kits maintaining your Rover is an easy, one-click solution away! For routine belt replacement, this kit provides a primary Serpentine Belt. Belts tend to be the most inexpensive replacement item on a Rover and should be replaced at the earliest sign of wear.This kit is specifically for Discovery Series II 1999 - 2004 without ACE system. Click Here to determine if your vehicle has the ACE system. All the maintenance information you need is found in our Maintenance Service Schedules for your model Rover! These schedules list all service recommendations by mileage break and list our Comprehensive Service Kits for easy product ordering. Each service kit contains a complete package of all the parts needed to complete that mileage service...Your BEST value! Following a maintenance schedule is the easiest way to keep your Rover running efficiently. Most importantly, MAINTAINING your Rover now will save you money in the future! Is Your Land Rover Discovery Series II ACE-Equipped? Atlantic British Ltd. Repair & Maintenance Academy How-To Video: Watch Doug as he explains how to identify whether your Land Rover Discovery Series II has ACE or not. ACE is a vehicle assist system that helps to improve the handling of your Discovery when taking hard corners. Questions about this video? Call us at 1-800-533-2210 or contact us via live chat. 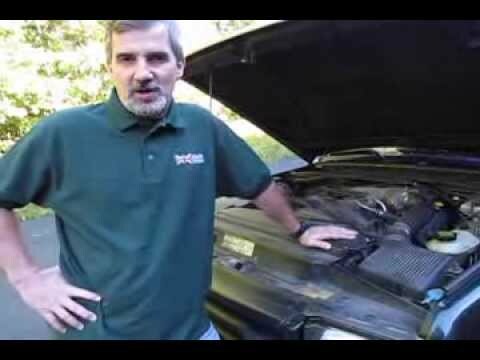 Atlantic British Ltd. Repair & Maintenance Academy How-To Video: Watch Doug, our Land Rover Master Technician, as he takes you through the steps involved in replacing the serpentine belt for a 1999-2004 Discovery Series 2. Using part # ERR6896 ( if ACE-equipped ) or part # ERR6898 ( if not ACE-equipped ), it is recommended that the serpentine belt be replaced every 45,000 miles. Questions about this video? Call us at 1-800-533-2210 or contact us via live chat. Good service good products. Will continue tovorder from here!!!!! Wife call with failed belt and pulley. Took a picture of failed parts texted me . I ordered the part on internet. Had it in 36 hours . Installed in 56 hours . Unbelievable service. Parts in stock, fast shipping. Free helpful videos on install and great customer service and communication. A nice Great priced belt replacement that I got to replace my old cracked ones. The Belt was a direct fitment for my vehicle. It is really good to purchase items that are direct fit and not a maybe.